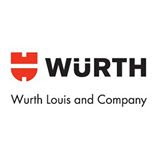 Wurth Louis and Company is a trusted name in the woodworking industry. The company has several locations in Western United States and a corporate headquarters is Brea,Ca. . In fact the company already has one location Washington State, a large 40,000 square foot store in Kent. And, now the company has chosen to expand it's operations in Washington State with a new retail store, this time here locally in Spokane Valley. The new location here is now open and while fully stocked it is smaller then the location in Kent. The Spokane Valley Wurth Louis and Company has about 5,000 square feet of space and about 6 employees. The new Spokane Wurth Louis and Company is located at 9711 E. Knox. It is a retail store that is open to public with all kinds of woodworking supplies. They carry everything from small hardware and shop supplies, up to full pieces of woodworking equipment.